In late 1980 we chose RedLine Proline frames for our Alans Team bikes. 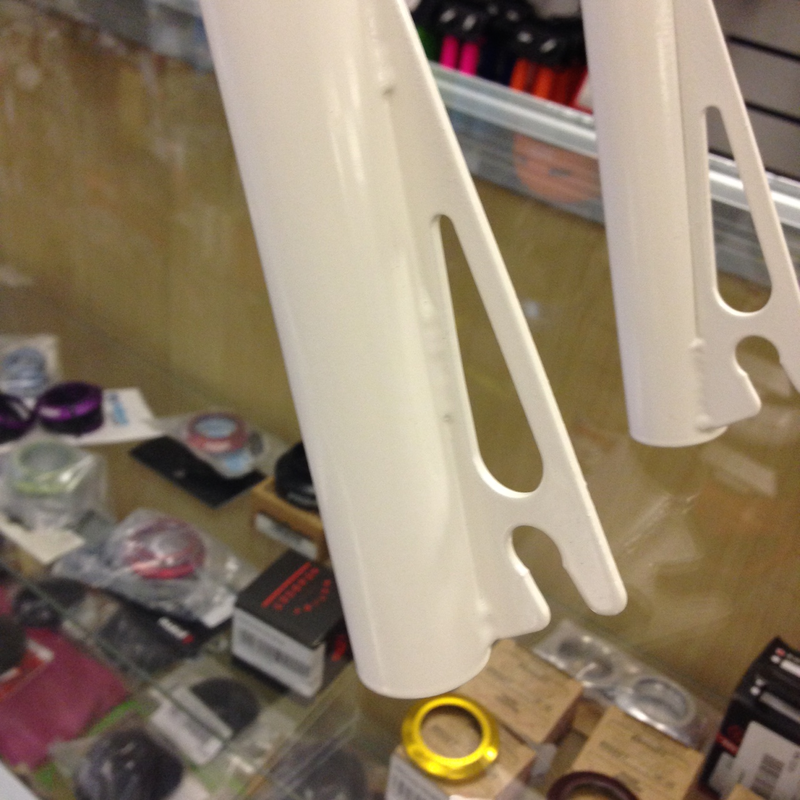 Alan Woods, Dave Arnold, Mike Chilvers and Mark Scully built these white framests up into bikes. 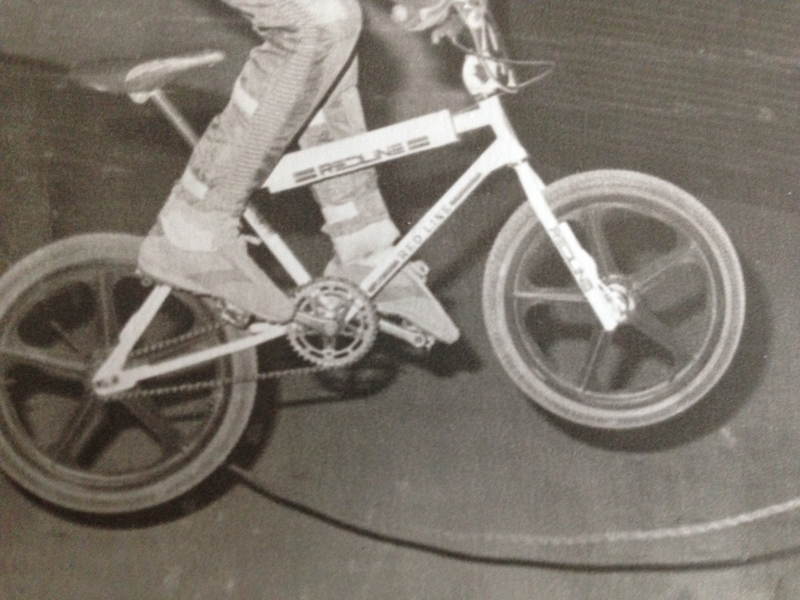 They were raced at the indoor race at Belle Vue, Worlably outdoor and Glasgow bike show indoor. Out of these 4 only Mark Scully kept his all this time but it was involved in garage fire in 2013, but Mark true to his word brought the bike back over to Wigan and we are now working on restoring it. The bike as we got in December 2013. The frame and fork, despite the "smoke" finish was in very good condition and wasn't thrashed at all. The seat post and stem were stuck in so we used John Lee's services to remove these for us. Next we had the frame and for blasted prior to painting. 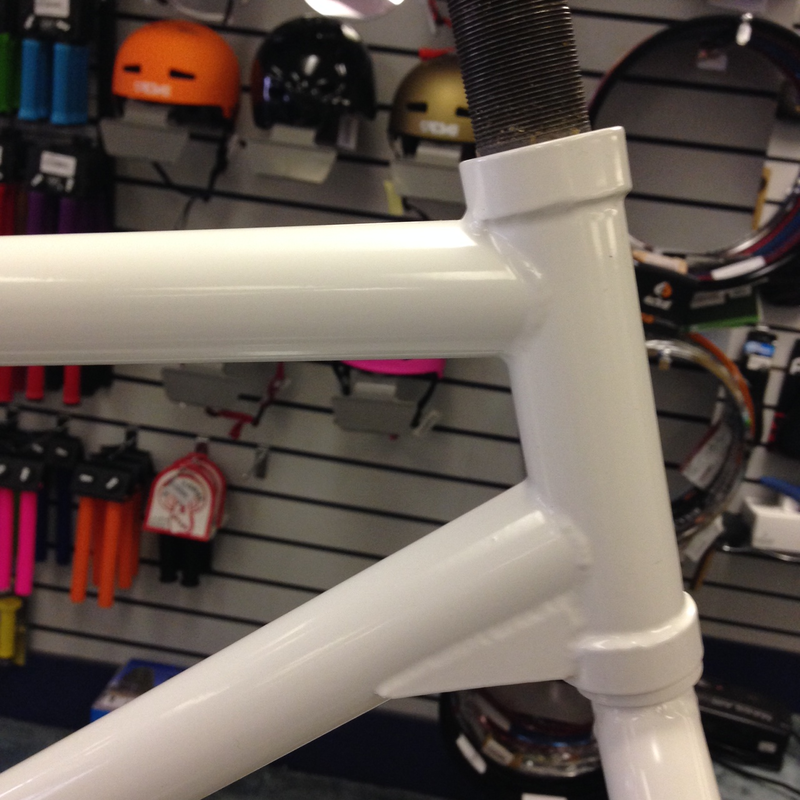 Special care was taken to preserve the frame number, crispness of the welds, etc. Fork steerer taped to keep threads clean. Mike Chilvers on one of our Team Alans RedLine Proline's. Late 1980. Next up the fork lower end caps need re-chroming. The decals need installing. If you look at the goto above the frames actually had 1980 frame stickers and 1981 forks stickers. We have a full range genuine RedLine restoration decals in stock.